Decipher - THE LUCK CODE (DECIPHER ETERNITY): WHY do the SUN & the MOON Represent the Father & Mother/ King & Queen/ President & Vice-President / Pilot & CO-Pilot in #Astrology? A Parallelism of the COSMOS to the Phenomena and Happenings occurring here on Earth!! WHY do the SUN & the MOON Represent the Father & Mother/ King & Queen/ President & Vice-President / Pilot & CO-Pilot in #Astrology? 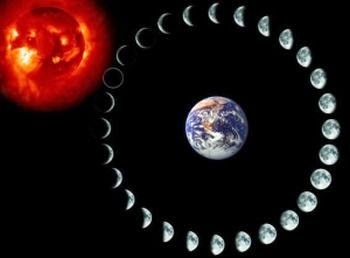 A Parallelism of the COSMOS to the Phenomena and Happenings occurring here on Earth!! #Sun and #Moon are 'Optically' the largest and closest appearing in cosmos/Sky to us. They influence us the most. Sun as the centre of the Solar System and Center of all the principals governing our earth's ( & Obviously our) motion in this Universe and also a Hot, Vigorous, Powerful(Power Source) and Source of all Energy and Vitality on earth is has parallelism or corresponds to a father/ King/ Leader of a Kingdom(Country)/Central Government/Authority on Earth while the Moon the 2nd closest body(Optically) is cold, comforting, Gentle, beautiful, sensitive, Reactive to actions of other(Sun and the Earth) , Reflects the light of Sun in a cooler gentle way, caring and motherly and reflects as or has Parallelism to the Queen or the mother in Anthropological Phenomenons. They act as the father and the mother bringing us into existence. Moon and the sun have the highest influence on us and are largest/Nearest 'appearing' planets as seen from earth just like our #Parents are closest to us and affect us the most and bring us into vital/animated existence on earth. We see them(Our Parents) maximum time and they we are born because of them. These two optically appear the closest and most influential. Moon is cold, calm and soothing. It is also Closest to us in the solar system like our mother is closest to us and our feelings and most connected to us no matter what (weather we accept it or not). We are more close to the mother and she is quite comforting specially in the dark and fearful times giving us care and support and showing us direction with her light while Sun 'the fiery' and Powerful gives us courage, Strength and Confidence and Our family values/ Principals/ Rules/Culture which we will follow as we grow up and live on earth just like the Sun governs/Sets principals or Rules based on which earth, moon and all the other planets will move (Obviously Gravity is the Reason in the Cosmos & it's Sun's Gravity Which decides everything) ;) The moon reacts to earth's motion instead and also to the sun's motion as we know. Like mother reacts/Responds to a child's feelings emotionally as well as the Father's Principals. Moon hence is considered a planet that reacts back to feelings in an emotional way in astrology. We have HIGHEST & CLOSEST Influence of a) The SUN -- our inner soul, Inner strength, Our Principals and Status and b) The MOON - i.e our Inner Mind, Inner Emotions, feelings and Mood. Our Personality is a combination of these two. These two are the most important aspects of our personality and these two are represented by the Optically Closest and biggest and Most Influential appearing planets from earth i.e the Moon and the Sun. In addition in #Vedic Calenders , One's Birthday comes every year not as per the same date one was born but when both sun and moon are in the exact same alignment every year as they were at the time of birth of the native. & 3) The Ascendent or the Rising Sign in the East & it's Placement. Now What is the Paralellism between the Rising Sign and our Personality/Health/Vitality or Personna i still have to figure out. But i think i'll soon with a little more Inspection, observation and Research. :) Let's see. Now this Optical phenomena as well as characteristics of the involved Planets i.e Sun and moon correlates and has a parallelism with different events and anthropological phenomena and systems and our conciseness as well as our mental and physical makeup and also has parallelism with most events/ causalities and Processes occurring on earth among humans as well as in non living objects. Now THAT is TRUE,,, but WHY does this parallelism exist???.. I wonder Why..
Optical Phenomena rule many principals in Astrology e.g Retrograde planet concept is also just based on an optical phenomena, No planets actually turns back, it only slows down and appears moving back relative to earth's observation point. 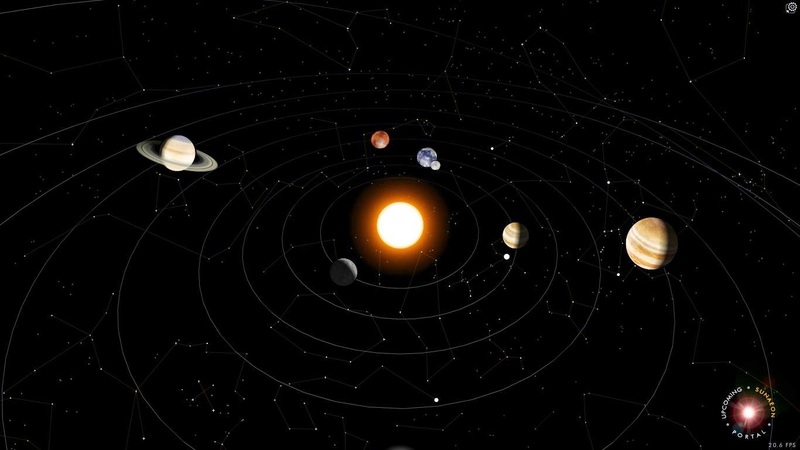 Sun the first and innermost planet Represent the Central Governments/ Kings and Kingdoms in our lives on earth plane while Saturn the outermost in the solar system Ring represents Common Masses or the General Public/Masses. Obviously more research/ case studies are needed.